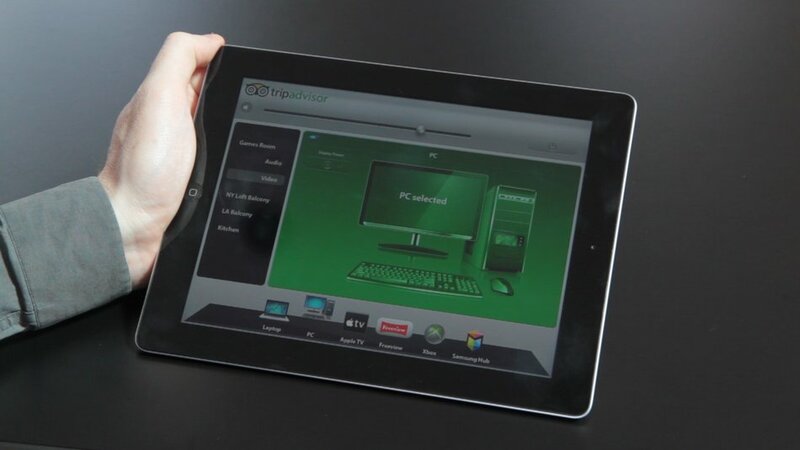 Crossover are pioneers in the UK of intuitive, ‘app-like’ control interfaces for audiovisual systems. These control interfaces are incredibly easy to use, even for people who aren’t technically minded. They are a great time-saver for any user, eradicating the need to tackle a confusing bundle of remotes and cables and giving total control of the AV system via a neat, completely customized and made-to-measure solution. We design our control ‘apps’ meticulously, carefully considering the aesthetic look and feel in sympathy with your company logo, image and branding. The Graphical User Interface (GUI) i.e. what the end-user sees and interacts with, will be meticulously designed to a very high aesthetic standard, something that we take great pride in, holding ourselves to the standards of the very best ‘Apple’ software / ‘app’ interface design. This is something that impresses staff and visitors alike, and adds to a feeling of comfort and accessibility when using the AV system. The content navigation (menus and buttons) are tailored to suit the specific system at hand and how it will be used day to day. We typically program simple ‘activity based’ commands (e.g. ‘Projector’, ‘Videoconferencing’), designed to neatly configure the entire system for those specific activities at the touch of a button (which is labelled in plain English). The layout on each ‘page’ of the control system is optimised for clarity and ergonomics. We always put the end-user experience at the forefront of our design process, testing each detail for intuitiveness and efficiency and rigorously testing all functionality to ensure rock-solid performance. 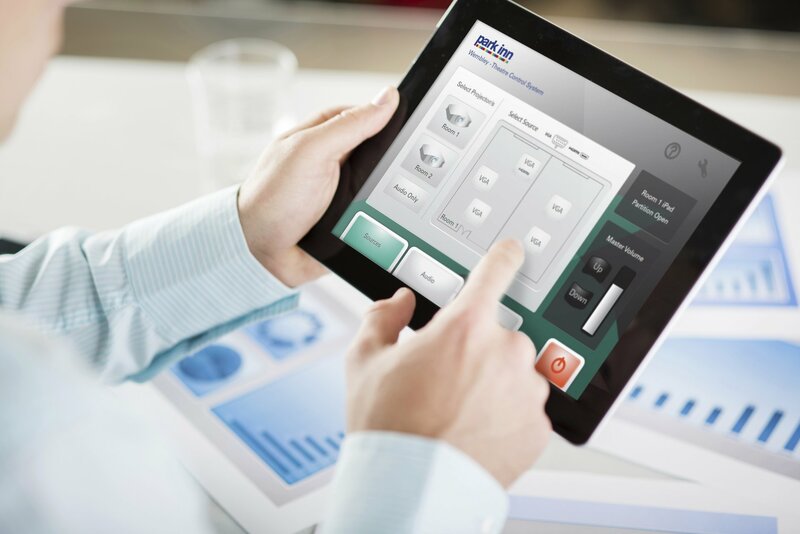 Often the end user will control one of our audio or AV environments via an iPad or other wireless tablet - familiar devices that anyone can use, with the convenience of hand-held portability allowing flexibility of operation. 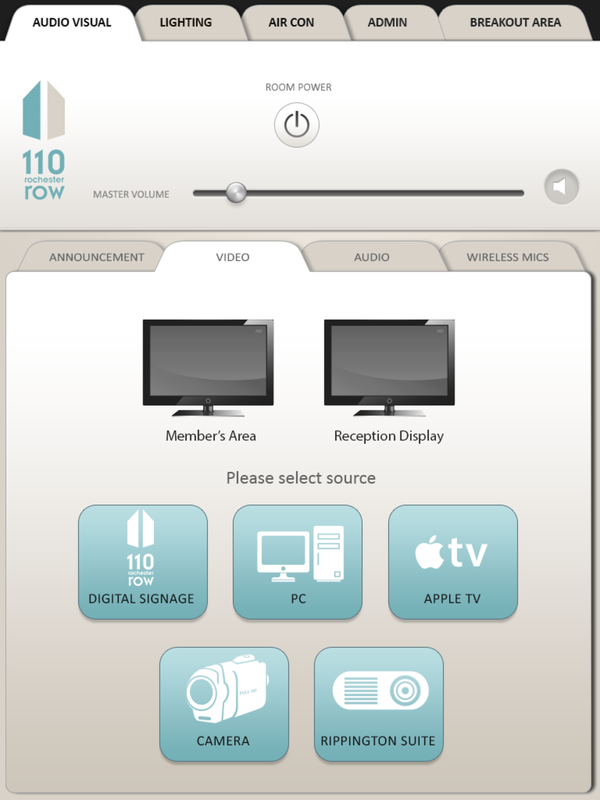 For AV system control we also sometimes use manufacturer-specific touch panels (which can be wireless like iPads, or mounted in the wall or a tabletop), or in-wall keypads (the latter being most suitable when there’s only a very limited set of commands needed). We’ll find the most elegant solution that provides the level of functional control required. Control interfaces can be password protected so that only certain staff can access certain controls. This is something we’d program in to your specific needs. A relatively straightforward type of bespoke AV control system that Crossover have provided many times is a system for sound reinforcement / PA (Public Address), involving several wireless microphone systems amplified at high volumes by powerful amplifiers and speakers. Historically it would be essential to have a sound engineer, or someone with equivalent training, to set up the system, check signal levels and perform a ‘mix’ on a mixing desk to get the sound right, adjusting controls such as ‘EQ’ and ‘Compression’ that perhaps wouldn’t make much sense to an average person. 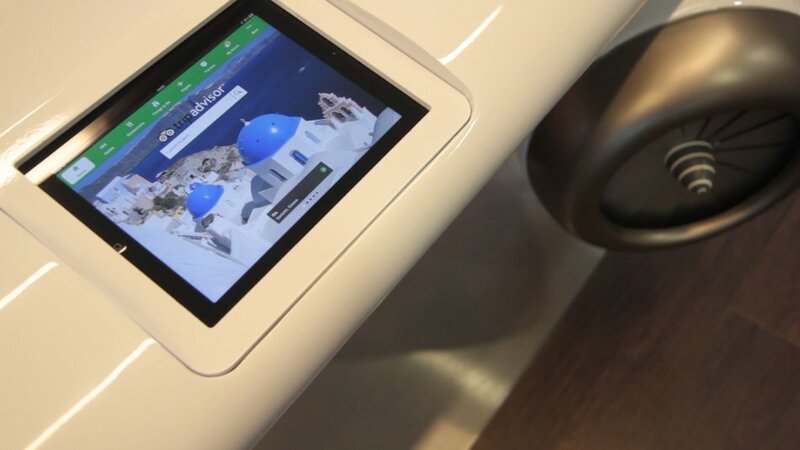 With a control system from Crossover, everything is configured to be controlled with a very simple iPad interface, with the benefit of wireless operation allowing the user to check sound and take control from anywhere in the room. The operator uses the iPad to select straightforward activity-based menu options: ‘Lectern Microphone’, ‘Speaker Volume’ etc. ‘Under the hood’ the AV system incorporates sophisticated control mechanisms that configure the whole system at the touch of a button on the iPad, with all signals digitally processed and sculpted by complex hardware equipment. The system can intelligently ‘mix’ the microphone signal levels and automatically mute any microphones when not in use. Everything is designed so that the basics of system operation can be intuitively grasped by non-technical users when provided with a straightforward list of instructions. This adds significant return on investment (ROI) as staff are no longer afraid to make use of the equipment, opening up the potential for everyone to take full advantage of enriched multi-media and enjoy the sound, lighting and video to its full extent.